Today, I came across a new feature provided by Google YouTube services which helps see us English translation of videos in any other language. This new feature of YouTube service is called as automatic caption (cc). Once we turn on this feature we can see English text of conversation at the bottom of the video player screen. Benefits of YouTube automatic caption (cc) feature? I found following benefits (advantages) of this feature of YouTube services. 1. Learning English become easier – Now we can learn English along with entertainment. Simply watch any of your favorite’s movies on YouTube and then turn on automatic caption (cc) feature. 2. Understanding videos in different English accent become easier. – Sometime we do watches interviews, How To’s videos which may have different English accents, turn on automatic caption (cc) feature, this will help you understand the conversation easily. How to enable YouTube automatic caption (cc) feature? 1. Access YouTube.com in your computer browser, not sure whether this feature is available in mobile phones, but should be available in Apple iPADs. 2. Now search for your favorite’s movies, interviews, How To’s videos etc. 3. Select them to play. 4. Now at the bottom of the screen player, click cc icon and you are done. How to disable YouTube automatic caption (cc) feature? 1. Click cc icon again and then click “Turn Captions Off”. I found that this feature does not work or not available in videos captured using screen capture tool with computer screenshots and audio. You have to turn on this feature on individual video's. I am using Windows Phone since last couple of months but did not knew that I can connect to Internet through my home computer. Earlier, I have been connecting to Internet by turning ON data connection and for this I used to pay 94 Rs a month with 2 GB bandwidth (Now the bandwidth has been reduced to 650 MB and time validity to 21 Days, so sad..) , also whenever I went to my friend's office I used his Wifi router to connect Internet on my phone. How to access Internet on Windows Phone through data cable? 1. Turn ON your computer, laptop, modem, router etc. 2. Login to your PC and check if Internet is working on your computer. 3. Now connect your Windows Phone to your PC through USB data cable. 4. That's it, the moment you connect, your phone will start synchronization email, updating application which requires Internet etc. and you can browse Internet and chat on your phone now. Also, if any update is available from Microsoft for your phone than your will get notification on your phone. 5. Disconnect the cable to stop Internet on your phone. Note: This is the easiest steps and anybody can use it as we do not require to make any changes in settings. How to access Internet on Windows Phone over WiFi (Wireless)? 1. Go to settings on your Windows Phone. 3. Now move the slider to right hand side to make WiFi On. The moment it is On you will see green icon. 4. WiFi will now search available WiFi access points available near your phone. 5. Now choose the WiFi network from the available list, If not Wifi service is available then you won't see anything. 6. Now enter the password given by the wireless service provider and press 'done' button. Enjoy!! Wireless Internet on your Windows Phone. Note: Almost all WiFi services are secured, you would require to password to access them unless password protection is off. How to access Internet on Windows Phone using data connection? 2. Choose 'mobile network' option. 3. Now move the slider to right hand side to make data connection On. The moment it is On you will see green icon. 4. Your Internet is On now, turn the slider right to turn back Internet off. # Changing this setting won't make Internet accessible, unless you have got Internet pack activated by your mobile server provider. # Keep monitoring the data connection usages as if you run out of bandwidth than the mobile service provider will charge you extra, I have experienced this with Reliance mobile servie provider in India. # Keep data connection Off when not required to save phone battery power. 1. Data connection is common and majorly used medium to be connected to Internet all the time as this connection is available at almost all the places we go to. 2. By default data connection is Off. By closing an application window you are going to stop / exit the application, this will free up system memory and CPU usages application was consuming. We require to close a window when we are done using the application and want to move on to open other application(s) or shutdown the computer. Instructions: How to Close a Window? 1. Open the application which you want to close. 2. Now press the cross icon at top right hand corner of the screen OR you can press Alt+F4 shortcut key to close a window, this is keyboard shortcut to close a window. 3. If something haven't been saved, please save data by pressing Ctrl+S button or by pressing save option available in the application. 4. If something isn't saved, application will prompt you to save data. You can use this method to close a window of any application be it Microsoft Office, Internet Explorer, Firefox, Chrome, Tally etc. # Be sure before you close the application as if it is a browser than all session will be lost. # Save data before closing any window. # Maximum the window you want to close else you may end up closing other application window. # We must keep closing opened window which are not required to keep system resources free. So, you want to control your home computer from Internet (College, Office, Cafe etc. ), I would recommend to use LogMeIn free service for controlling your computer remotely. Although there are many software utilities through which we can access our computer from all places where Internet service is available, but we will use LogMeIn as it is most reliable and widely used, in office we are using LogMeIn for troubleshooting our client computers located all around the world. We have installed LogMeIn client on 3,00,000 (.3 million) computers. Here we are sharing step by step to connect your computer from Internet using LogMeIn Free remote desktop controlling software. How to access computer from Internet? How to access a computer remotely? 1. Click here to access LogMeIn Products page. 2. Now Click Try it Free in right hand side inside Access section. 3. In next screen you will be asked to enter following information, enter this information and click ‘Continue’. See screenshot for reference. 4. Now Click ‘Download & Install Software’. 5. Now have a look at the screenshot, within couple of seconds you will see a pop-up to download the LogMeIn setup file, at present the setup file size is 19.7 MB. - If in case download does not start or you click cancel button accidentally then you can restart download by clicking restart the download. The setup should get downloaded in couple of minutes over cable connection. - If this is office computer then you might require taking help of local IT technician as you may not have privilege to install the software. 6. Meanwhile the setup gets downloaded, check your Inbox and click the link sent from LogMeIn. This will verify your LogMeIn account, after verification you see following message. Your LogMeIn account, yourusername@gmail.com has been verified. 7. Once the setup is downloaded, run it and click ‘Next’. In next screen you will see your email address as account holder name, click ‘Next’ again. Click ‘I Agree’. In next screen choose ‘Typical (Recommended)’ and click ‘Next’. In next screen, change computer name or leave it as it is and click ‘Next’. In next screen enter ‘email address’ and ‘password’ and choose ‘LogMeIn Free’ and click ‘Next’, installation will start now. Click ‘Finish’ when installation setup completes. - Enter the email address and password which you had entered in step 3. - You must have 70+ MB free disk space in your C: drive for setup to complete. 8. The installation is now completed, you will see round shape blue color icon in your task tray near computer clock. 9. Now access LogMeIn.com from other computer or laptop, use the email ID and password provided in step 3 for login. 10. You will see your computer listed and online. Click the computer name to take remote control, now enter your local computer login credentials which you use daily for login and click Login. With LogMeIn you can access one computer from another computer. - You must keep your computer / laptop, modem, wireless Internet turned on to access your computer over Internet. - LogMeIn service should be running and active else you won’t be able to connect to your machine. - You can download mobile version of LogMeIn to access your computer from mobile. Do you have any query or need help, please leave us a comment; we are always there to help you. Please do like this post to share with your Facebook friends. Daily I receives around 10-15 emails, and these emails includes Facebook notifications, job notifications, Bank transaction alerts, Microsoft alerts, junk email etc. This was not an problem until I started using smart-phone (Samsung Omnia W - Windows Phone) and configured my emails on it. Every hours or so I am getting email notification alerts on my phone, I want to get rid of this emails as this emails disturbs me a lot and are of no use or very little use for me. I would want to get only required and useful emails only. I have 4000+ emails in my Hotmail (Outlook) but only 10% emails are of use, rest are either junk or notification emails. When should we stop receiving emails? 1. When you do not require to receive notifications emails or alert emails. 2. When you are getting lot of junk emails. Their are various ways through which we can stop getting emails. 1. How to stop receiving spam emails? First increase the spam filtering level if spam filtering option (feature) is available and second mark email as spam if some email does not get filtered by spam filtering software appliction. 2. How to stop receiving notification emails? Go to the bottom of the email which you want to unsubscribe, then click unsubscribe link, follow the step mention in the website and confirm it, next time you will not receive that particular notification. 3. How to stop receiving Facebook emails? Login to your Facebook a/c and then go to notifications page and uncheck all check boxes, once this is done you will not get email notifications from Facebook. 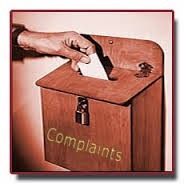 - Some emails are notifications are critical and also cant be blocked so we should worry about them. - Some email are advertisement emails sent by email service provider hence cant be blocked. - We should occasionally check our junk email folder to make sure that good (genuine) messages don't get missed. - You should check junk email folder when somebody sent you an email but you didn't received email in inbox. We hope your inbox is now clear and you have only required emails in it, if you need help or have any query, please leave us a comment. We are happy to help you. Dear Reader, we have a new product in Samsung electronics's camera series, Samsung has released a camera which has Wi-Fi feature, this should be a affordable camera model compared to the one which has 3G/4G features. So, what's really good about it, now you can upload photos right from your camera, no need to transfer photos, video via USB cable to your PC and upload them over social media sites (Facebook, Twitter). WOW!!! now we can instantly share things with our loved ones. This series of Samsung camera's are called as Samsung Galaxy Camera. 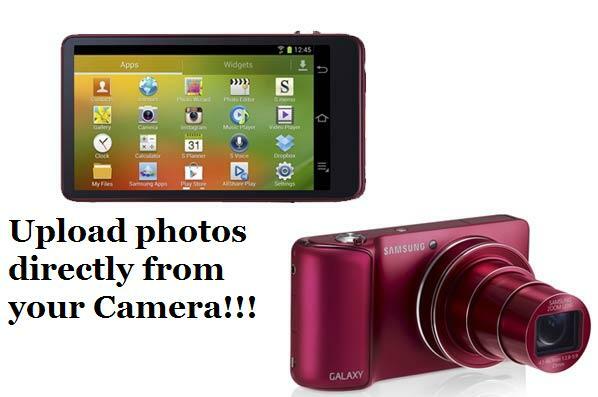 These camera runs on Android (Jelly Bean) operating system with Wi-Fi feature. Now we can share photos, videos with family and friends over social media and email instantly. We have 21x Optical zoom facility and FULL HD capability with so many value added services such as: Slow motion, Panorama, Voice control etc. 5. Google Services - Google Search, Google Maps, Gmail, Google Latitude, YouTube, Gtalk etc. Note: You will require Wi-Fi Access Point or HotSpot to connect and share photos and videos over Internet. Please click like to share this with your facebook friends. Before finding this app, I use to assume that Mumbai (Bombay) local trains are running at a speed of 60km/h. I was curious to know the train speed right from my mobile phone as I have a smartphone. After searching marketplace for such app on my Windows Phone I found the app named: Speedometer, this is 1mb app. With this app we can find speed of any vehicles, be it car, bus, auto etc. Even you can run measure your running speed. MUMBAI local western train max speed is 80km/h and average as 60km/h. 1. This app should be available for Android OS as well. 2. You do not require GPRS to use this app. Has your cell phone battery swollen? 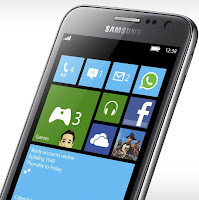 like my phone, I had bought used Windows cell phone, model: Samsung Omnia W, It worked well for around 2 months but after that its battery started swelling. I was like why I bought a resale (used) phone. 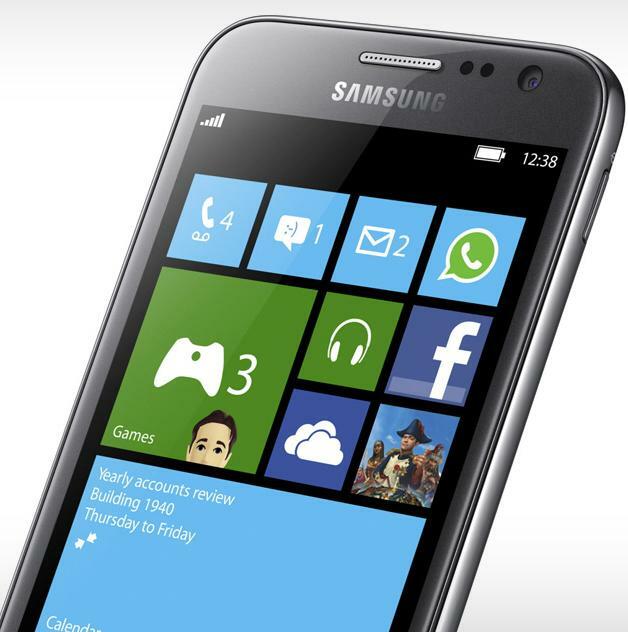 This is the smartphone running Windows Phone OS 7.5 Mango version. What happens when cell phone battery starts swelling? 1. Phone gets turned off automatically without any notification. 2. Can't lock the phone back cover as phone battery has swollen. 3. Phone battery will drain (discharge) faster. Note: Since the time battery has swollen, my phone went off automatically multiple times while surfing the net and listening to music even though 70% phone battery was charged. 4. Phone battery won't last longer than an hour or may be less than that. 5. Saved password for websites will get erased and you will have to re-enter login credentials. What causes cell phone battery swelling? 1. If you overcharge the battery. 2. If Battery have some issue. What to do when phone battery has swollen? Can we fix, solve swollen phone battery? No, we need to replace the battery. 1. If it's just 6 month you have bought the phone from authorized phone store and it is in warranty then phone company would replace the battery without any charges. 2. If not than you would need to buy new battery as phone battery warranty (6 month) is over. 1. 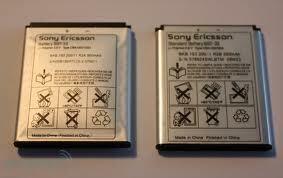 Do not used swollen battery, temporary you can use it but get it replaced as soon as possible. 2. If you have old working cell phone then temporary use that meanwhile. 3. Buy original phone battery instead cheap battery as they would last longer and will be safe. 4. Do not keep phone for charging over night and recharge only whenever required. Samsung, Nokia, Sony, Apple, etc. all type of mobile phones.